HAPPY (post) VALENTINE'S DAY, BOOKNERDS!!! How's everyone doing? I hope everyone had a good February 14th as I surely did. I must admit though, I barely read over the weekend because of all the hot air balloon happiness but no worries! I have the entire month of February to catch up. I'll be reading only contemporary romances this month, mostly YA if I could help it, and fingers crossed I find something worthy of a 5-star rating (or four... four's not so bad). So anyhow, this post was supposed to go up yesterday — Valentine's day itself! — but I apparently failed to click "schedule" when I drafted my post. Eep! I had to add this whole intro otherwise my post would sound weird and a little blast from the past. Heehee. In case you don't know yet, I'm a proud fangirl... or fantard as some people call it. Meaning, I'm not ashamed to obsess about books, movies, or series. As in I would go on days just talking about that one topic to the point where my friends and family tell me to shut up... they don't but I reckon they want to. They're just too nice to tell me outright. (LOVE YOU!!!) So I figured, for Valentine's day I'll share the love and pass on the fangirling to YOU. Plus, I'm making it a wee bit Valentine's-y because WHY NOT? Hey, love comes in all forms, right? Excuses, excuses. Sab's Slightly Random List of Feels (a.k.a. kilig) Inducing Stuff (I'm creative with titles) 5. 50 First Dates — I don't know about you but I love Drew Barrymore and Adam Sandler's chemistry. They're an unconventional romantic comedy pair which makes me love them even more on-screen! So far they have three* movies together, which is unusual in Hollywood, I think, compared to the Philippines. Of the three, my absolute fave is this one. It's one of my go-to romcoms. Let's forget about the short-term memory loss for a sec: Someone making you fall in love every single day in different ways? YES! *Fun fact: Tom Hanks and Meg Ryan have four movies together. 4. The Lover's Dictionary by David Levithan — Okay, so this is pretty self-explanatory. But in case you haven't opened a single David Levithan book (question: WHY??? ), I suggest starting with this one. It's a very quick read that'll surely give you all them feels that you wouldn't know where to put. The writing is quite unique as ordinary words are given a different meaning in the context of a relationship. The words are in alphabetical order, like a dictionary, but the events in the story are not chronological. You'll never know what to expect! 2. The Real Score by Kesh Tanglao — I don't know how many times I've pimped out this book. I'll never get tired of it. This is easily one of the titles I wouldn't think twice recommending to anyone who's looking for their next read. Being in a relationship with a member of a boyband known worldwide? HELLZ YEAH. 1. 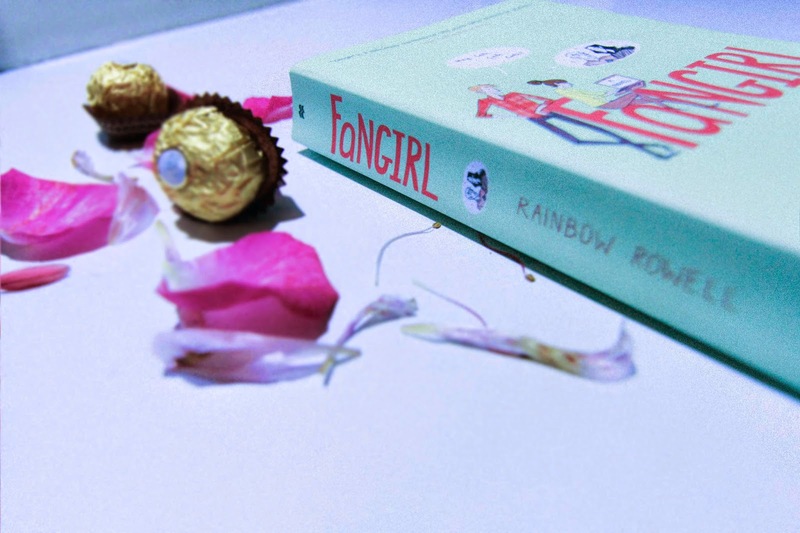 Fangirl by Rainbow Rowell — In comes the ultimate fangirling. Let me begin by saying: I will buy whatever book Rainbow Rowell comes up with – that’s how much I love her writing. But out of all her books, this is the one that spoke to me the most. Quick rundown of the plot: Cath has a twin sister named Wren. They’re big fans of Simon Snow – this made up adventure fiction that sounds a lot like Harry Potter. They start college. Wren faces the changes head on. Cath on the one hand… well, she’s having trouble adjusting to her/their new life. She’d much rather stay in her dorm room in her free time and write Simon Snow fanfiction. The way Rowell writes her books, it’s impossible not to feel for her characters. She makes them so real that it’s not hard to get engrossed in their story. This was the case with me and Fangirl. I may not be as big of a fangirl like Cath was to Simon Snow but it was easy for me to associate with her nonetheless. It was her hesitation to embrace her new life, her decisions, the way she dealt with changes… it all felt so relatable. Apart from that, and I know this is what you’re looking for, YES, THERE ARE TONS OF FEELS IN THIS BOOK. Levi and Cath are both so dorky and cute. I particularly love the build up to their relationship. The thing is, I just can’t resist love stories that are just starting to blossom. It’s a whole lot of fun reading about the awkwardness of the first few “hangouts” and that equally awkward limbo where you don’t know if there’s something there or you’re just imagining it. And then there’s that moment where all the feelings spill out and you get to enjoy every bit of it (still describing a book, okay). If there’s anything Rowell writes best – it’s this. You’d have to read the book to fully understand just how PERFECT it is. Especially the first kiss. TRUST ME. That woman is a pro at writing first kisses. Need I say more? And because I just spent three paragraphs sharing my love for Fangirl (no regrets), I'm giving away a copy of it and a LIMITED EDITION Fangirl tote bag to one lucky winner residing in the Philippines! Thank you to Fully Booked for sponsoring this giveaway! Fangirl, as well as Rainbow Rowell's other books, are available in Fully Booked stores nationwide.